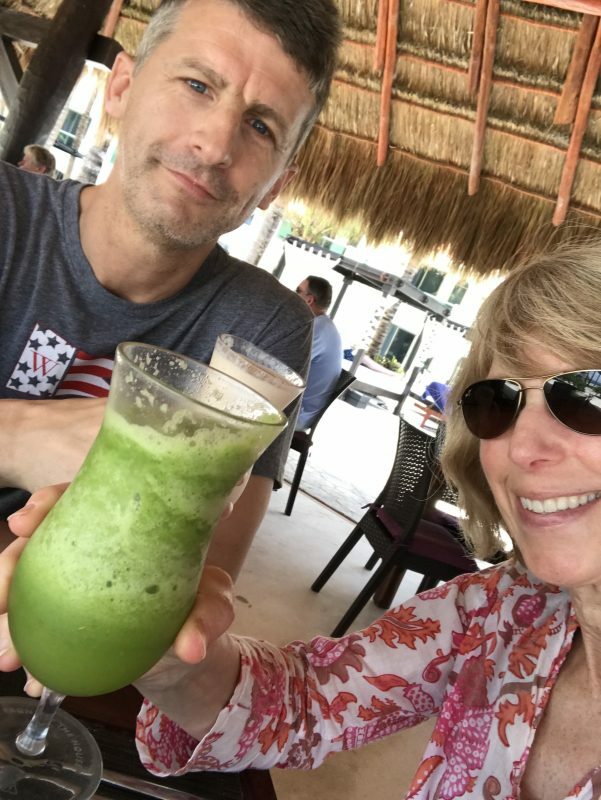 You know you’re in good hands with a dedicated and caring staff when you arrive at a resort and one of the first questions asked is, “Do you have any food allergies or intolerances?” Tim is a fish-eating vegetarian and I eat just about anything with the exception of insects (more on that below! ), so we were good to go. Cherry tomato salad with basil and mozzarella cheese served at D’Italia. El Dorado Spa Resorts, by Karisma provides a Gourmet Inclusive experience. 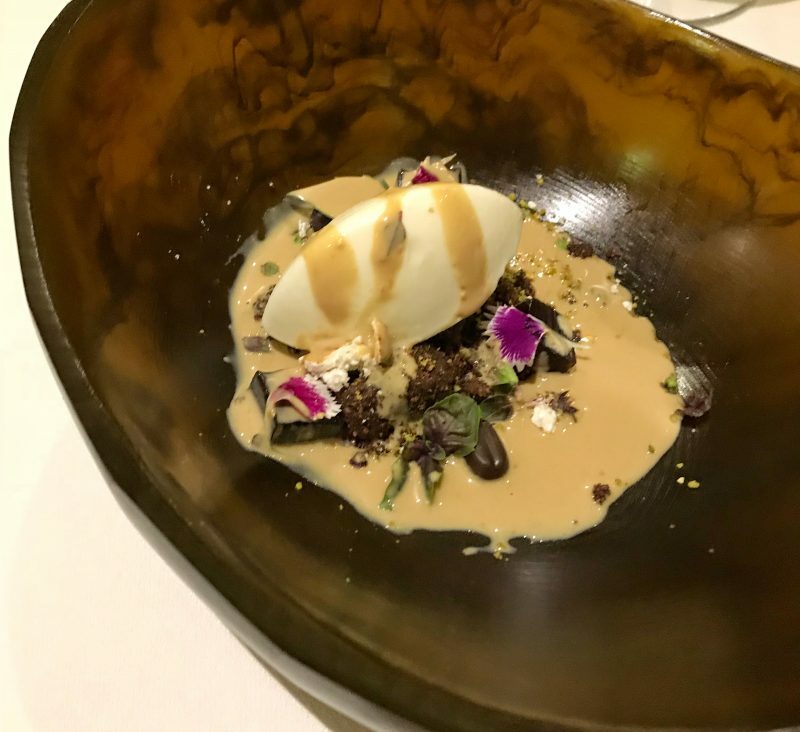 At our resort, we had 15 restaurants to pick and choose from every day including the Health Bar where we ate most lunches, the Fuentes Culinary Theater, and D’Italia, our favorite restaurant which offered contemporary Italian cuisine. Grilled fish served on a bed of black bean sauce and topped with pickled onion, shaved radishes, cilantro, avocado, and fried plantains. One afternoon, I attended a culinary demonstration, and when they asked for a few volunteers, yours truly jumped right in. 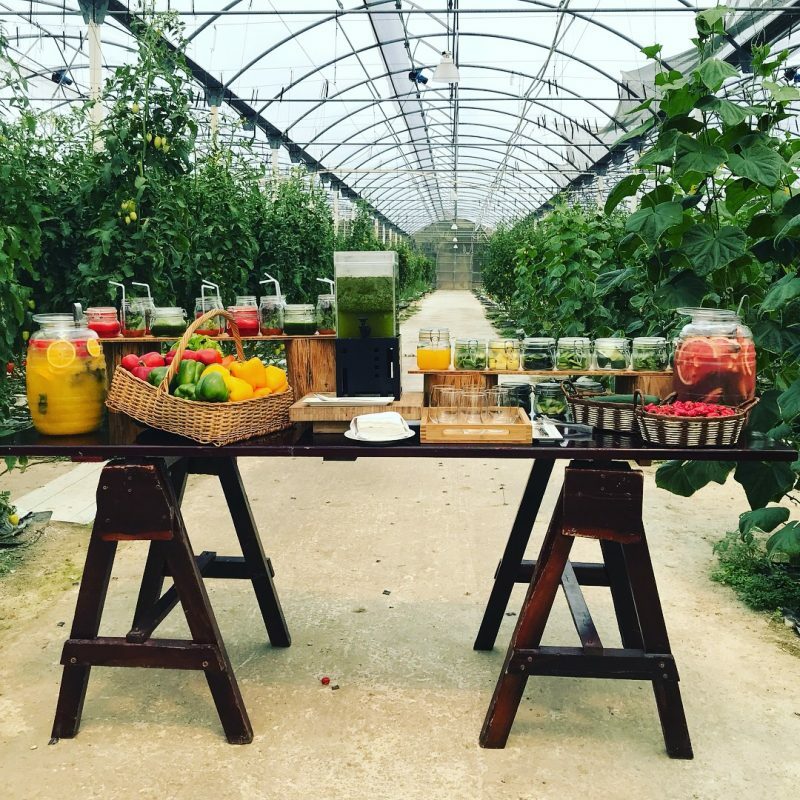 The thing that impressed me the most about the food was that most of the produce is grown on the property in the hotel’s 76,000 square foot greenhouse. 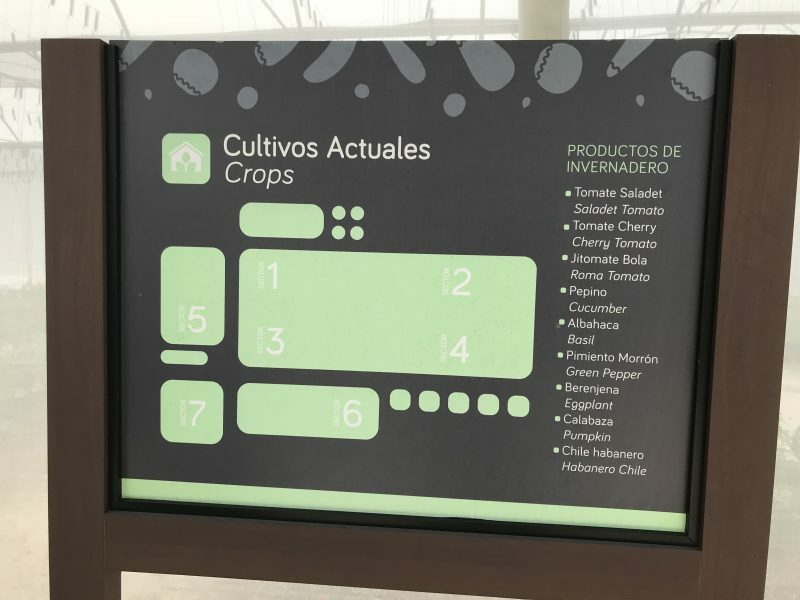 Sustainable methods are used in the gardens — no synthetic chemicals, no transportation required, a hydroponic watering system — and I had an opportunity to taste a lot of what they grow: tomatoes, cucumbers, peppers, mint, basil, and papaya. For us, the greenhouse bounty yielded salads served in mason jars, smoothies, and flavored waters and for the chefs, endless possibilities for cooking up creative menus. #jealous. 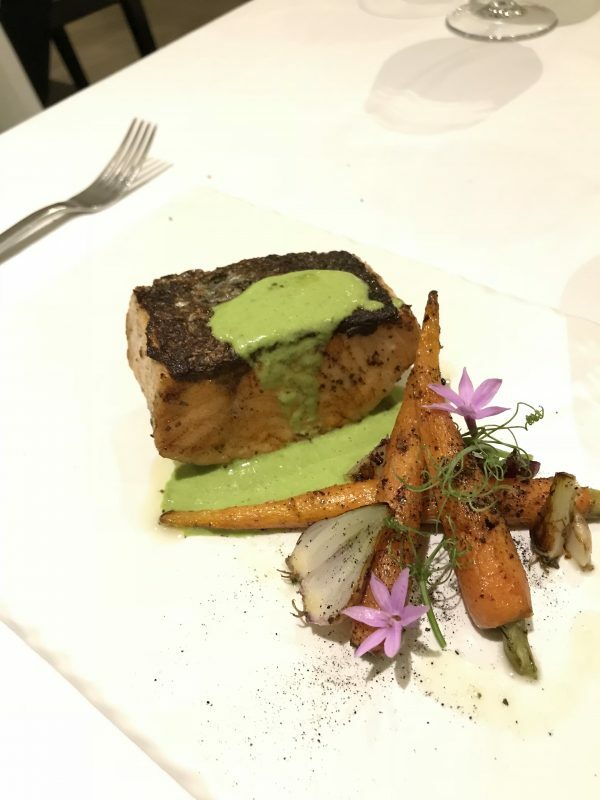 Grilled salmon with baby carrots, pea tendrils, and garlic flowers at D’Italia. Those lovely little pink garlic flowers are also grown on the premises. And yes. They actually taste like garlic! 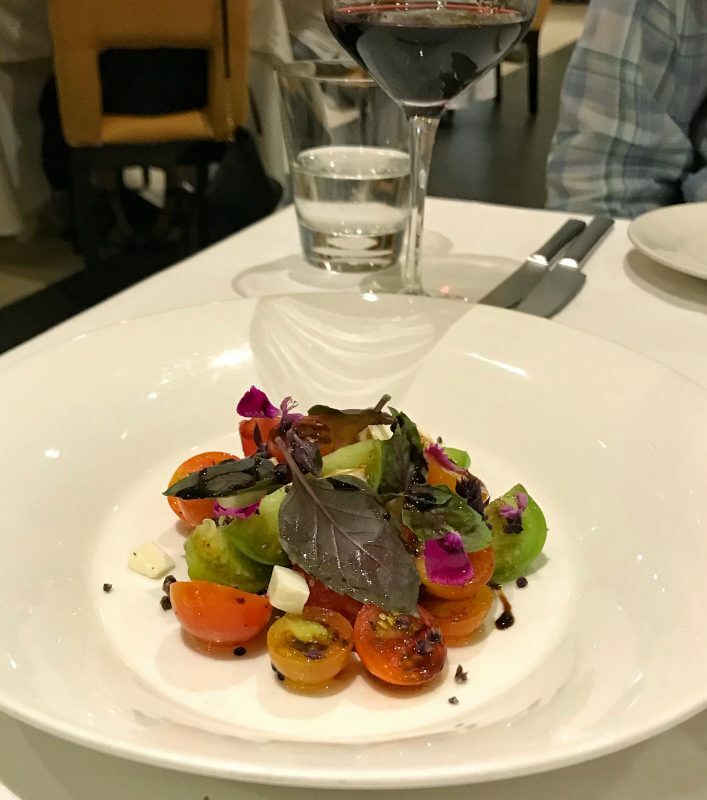 I launched the Liz’s Healthy Table blog and podcast almost one year ago, so in addition to escaping the cold, the trip was also a celebration of the past 12 months. 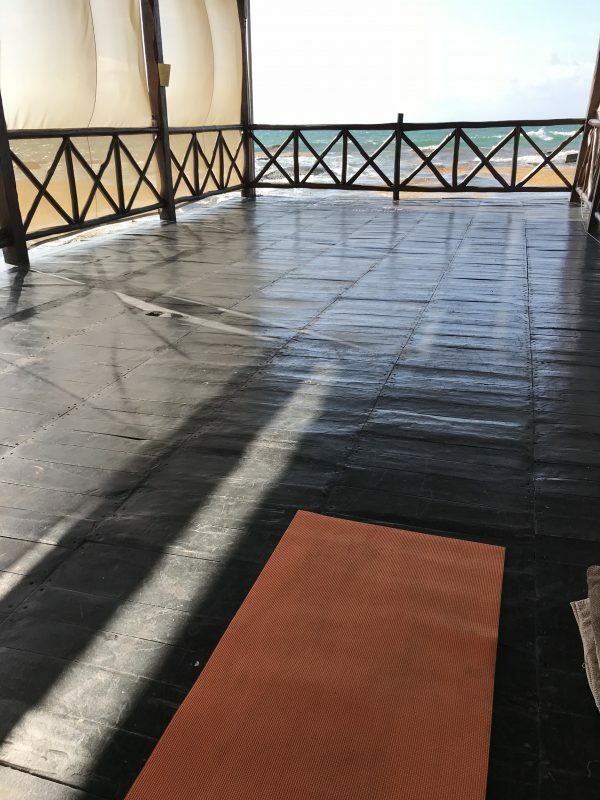 While I was there, I spoiled myself with an 85-minute massage, and every morning I took a yoga class with the ocean as my backdrop. 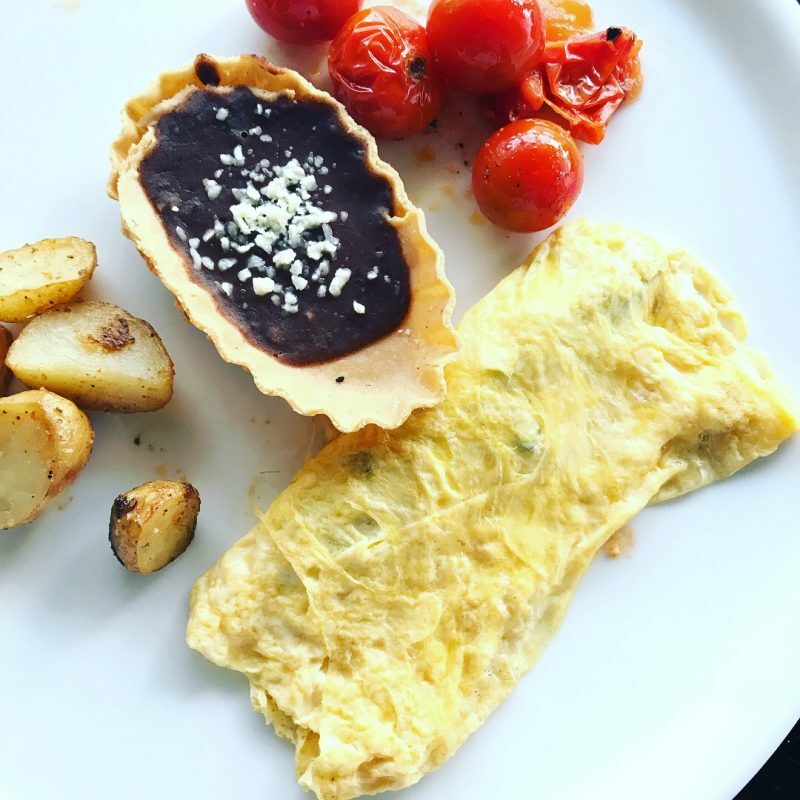 And speaking of mornings, this is what I ate for breakfast, delivered to our room: A simple omelet stuffed with mushrooms and cheese with black beans and delicate roasted tomatoes and potatoes on the side. We did stop by the breakfast buffet a few times, but instead of starting the day on the wrong foot with lots of sugary, starchy pastries, I opted for savory things like guacamole, tomato salsa, hard-boiled eggs, smoked salmon, roasted vegetables, and fresh papaya and pineapple. I’ve never had a cactus smoothie before. Have you? I think my obsession with food is rubbing off on Tim. He didn’t join me at the cooking class, but he was really excited for our night at the Fuentes Culinary Theater. 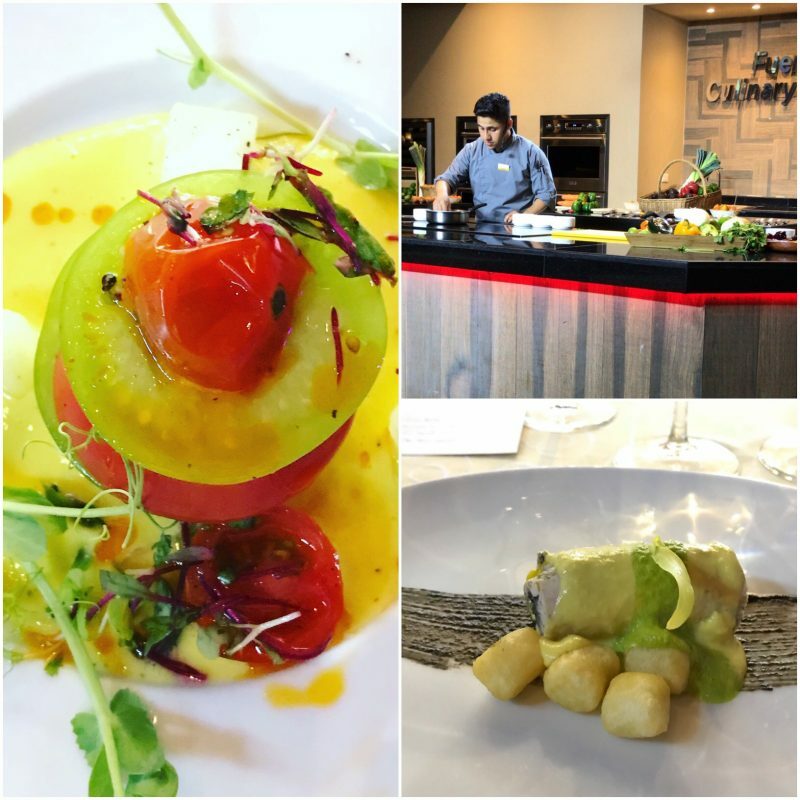 Chef Jorge Orozco Velez teamed up with the resort’s sommelier for a wine and food pairing. 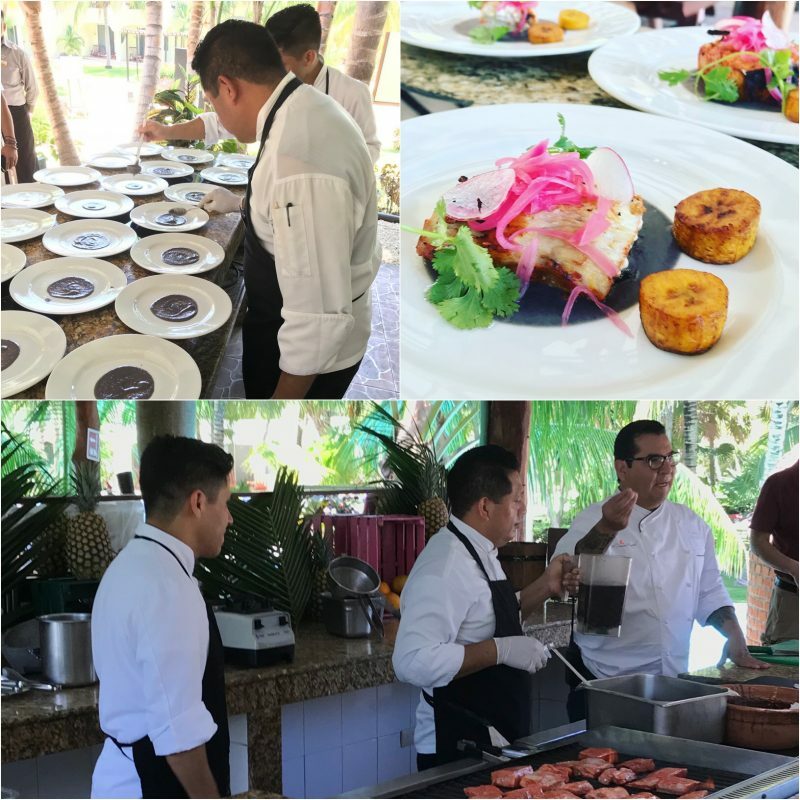 The menu featured fresh tomato salad, a cured tuna tostada with jicama and creamy avocado, chicken breast stuffed with huitlacoche (a type of fungus that creative chefs are now cooking with) cream of corn, poblano sauce and gnocchi, and smoked chili rubbed pork belly. Yes please! The winning dessert for the week goes to this Tiramisu Vanguardista, which the chef from D’Italia presented to us at the end of our dinner there. She makes it with with lady fingers, mascarpone cheese, chocolate crumble, meringue, coffee jelly, and coffee sauce. So sorry, but there is no way I can even try to recreate this for you! … I completely chickened out. 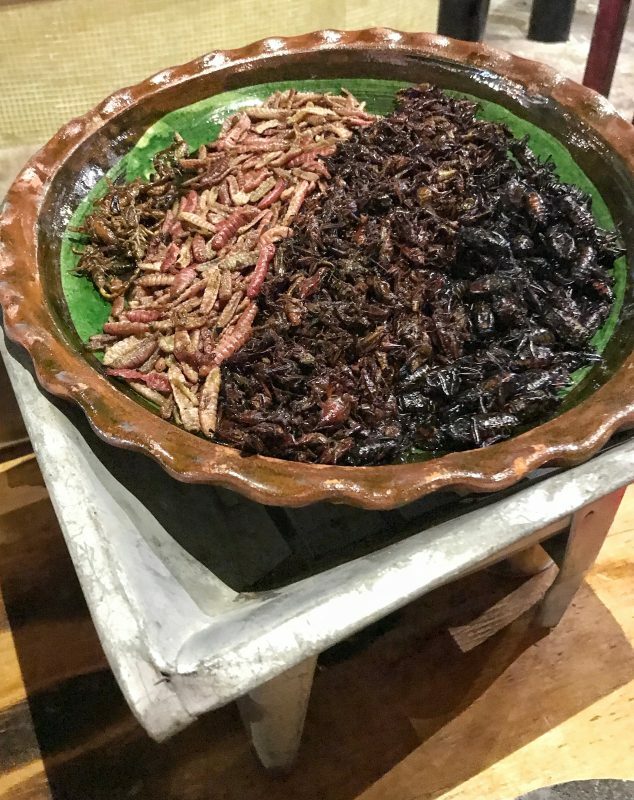 Every Tuesday at Mexican Night, the resort puts on quite a show with over 200 locally-inspired dishes, including insect tacos. Tim asked for scorpions and beetles in his tacos. They were sautéed first, and he topped them with guacamole and fresh salsa. He said they were crunchy and chewy. While I wanted to be brave (I have a “when in Rome” attitude when it comes to trying new foods), I wasn’t brave enough for this particular dish. Insects are sustainable, but that wasn’t enough of a reason for me to take even one tiny bite. Party pooper. I know! 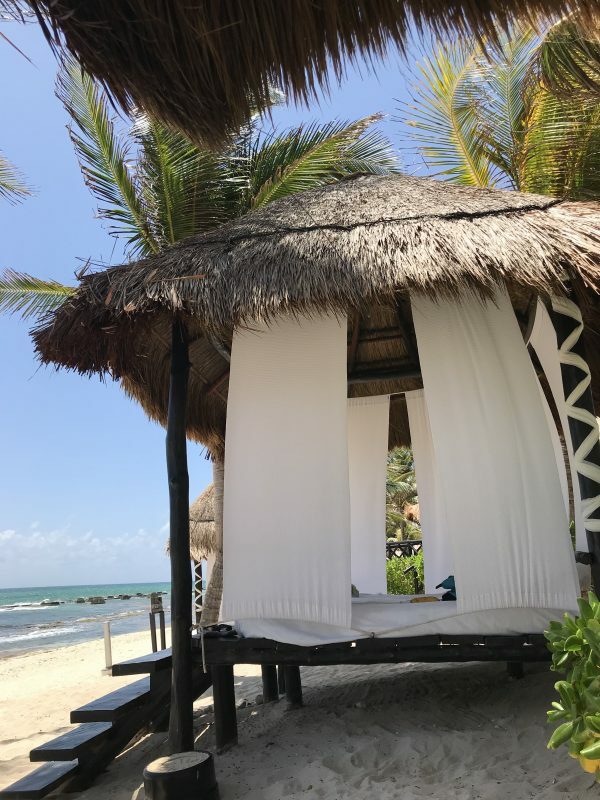 It was a fun week filled with lazy afternoons reading on the beach (if you need a great book recommendation, read What Alice Forgot by Liane Moriarty), long walks, yoga, great food, and an afternoon in Tulum touring the Mayan ruins. I traveled to Cozumel nearly 30 years ago, but I don’t really remember it. 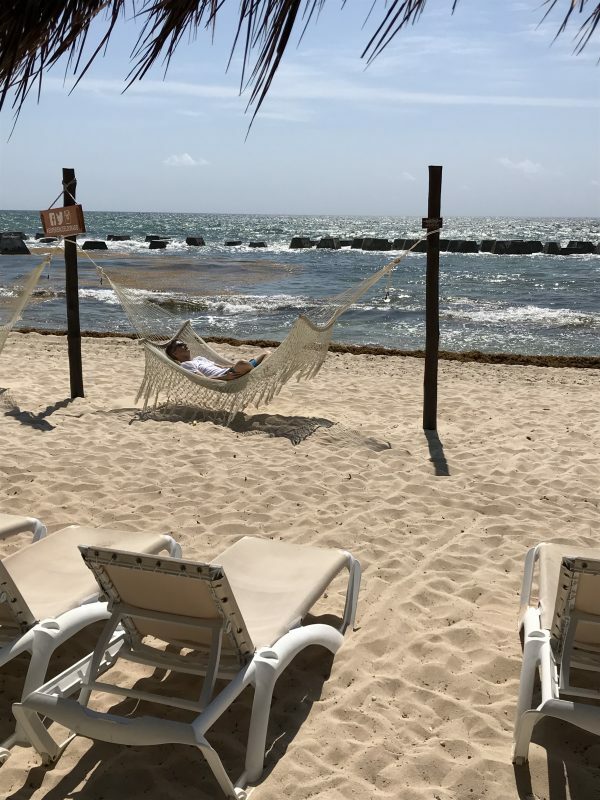 My return to the Riviera Maya was certainly memorable, and I hope to visit again soon.